Carpet fibers can absorb unpleasant aromas such as smoke and cooking odors, which blend overtime. Fortunately, a more effective carpet cleaning method than shampoo is available: We are Canada's leading Carpet deodorizer manufacturer, exporter, and supplier. Due to its usability and lasting fragrance, our carpet deodorizer is in great demand. Your room will smell clean & fresh, it is just that simple. 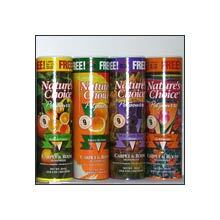 Choose your favorite scents, available in Springtime, Gardenia, Pet &Smoke, Garden Fresh & Citrus.